After key people left, the executives killed all game development. 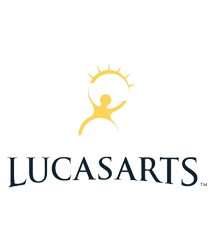 Back in the heyday of the 1990s, LucasArts was one of the good guys. Titles like X-Wing, Jedi Knight and Monkey Island were pillars of PC gaming, but then something happened. Star Wars Battlefront, an FPS with third person elements released in 2004, was an extremely successful game for LucasArts and the 2005 sequel performed equally well. But after Jim Ward left the company, the plans for a technically ambitious Battlefront 3 from the British studio Free Radical went sour. Free Radical bosses David Doak and Steve Ellis say every effort was made to sabotage development by the people running LucasArts in 2008. "We went from talking to people who were passionate about making games to talking to psychopaths who insisted on having an unpleasant lawyer in the room," said Doak. "For a long time we talked of LucasArts as the best relationship we'd ever had with a publisher," said Ellis. "Then in 2008 that disappeared, they were all either fired or left. Then there was a new guy called Darrell Rodriguez, who had been brought in to do a job and it was more to do with cost control than making any games. And the games that we were making for them were costly." The plans for Battlefront 3 were radical, pardon the pun, and the development cost a lot of money. Somewhere along the line, LucasArts decided they couldn't afford to make the game former studio head Jim Ward wanted to make. But they couldn't just cancel the game because of the contract in place, so instead they just tortured Doak and Free Radical until their spirits broke. From Free Radical's point of view, the studio was delivering milestones for Battlefront 3 on time, but LucasArts quibbled over the game assets being actually ready. "If a publisher wants to find something that is wrong with a milestone, it's very easy for them to do so as there are so many grey areas within a deliverable. If the contract says, 'Graphics for level X to be release quality,' who can say what's release quality?" asked a Free Radical employee. In this way, LucasArts refused to pay Free Radical for more than six months, until the developer ran out of money. That ended up being a very successful tactic because Doak couldn't afford a long legal battle. "If we wanted to fight about it, they were quite happy to fight about it, but it would be on their terms, on their turf, and we would lose not because we were wrong, but because... well, we wouldn't be able to ante up. "In many ways it was a depressing farce talking to them," said Doak. "They had an agenda motivated by purely financial considerations. Their goal was to stop doing it. And it didn't matter that we had a contract that protected us." Finally, after many deals including the GoldenEye remake fell through, Free Radical went into administration, laid off 140 people and was eventually purchased by Crytek. It just goes to show that publishers can engage in some very tricky tactics when tens of millions of dollars are on the line. It's not about the games or the developers, then, just the bottom line.